Sometimes when you are replacing a valve (see our step by step guide here) the Brass Bush (Ring) that surrounds the valve also comes out with the old Valve. The Bush can come embedded with the valve due to wear and tear/dirt in the water etc and they can seem to be ‘one piece’. You can try to separate them but if it proves impossible then you might have to replace the Old Brass Bush as well as the Valve. Click on images for bigger view. Occasionally when we supply a valve to a customer they think that we have supplied the incorrect valve because the NEW Valve is a lot smaller in diameter than the OLD Valve. Invariably it is because the Brass Bush (Ring) is still surrounding the OLD Valve. Question: Hi, is there any tips on separating the bush ring from the valve? I have tried wwd40 but seems solid. 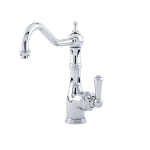 Answer: When you are replacing a valve in your Kitchen Tap sometimes the Brass Bush (Ring) that surrounds the Valve comes out of the tap as well i.e. the Valve and Brass Bush are stuck together and appear to be ‘one’ part. It can be difficult to separate the Brass Bush (Ring) from the Valve as limescale, water etc can cause the two parts to stick together over time. Here are some tips to try but remember that if the Brass Bush (Ring) is damaged in the process of separating it from the Valve then it might not work properly, in which case you might have to replace the Brass Bush (Ring). An alternative that you could try to WD40 is TT Oil (which can be purchased from a DIY / Car mechanics shop shop). To separate the Valve from the Brass Bush (Ring) you need an adjustable (or proper sized) spanner to fit the nut below the splines at the top of the valve. You also need a vice grips to place around the brass bush (that is surrounding the middle of the valve i.e. the widest part). Then move both spanner and vice grips in opposite directions (moving the nut anti clockwise). If you cannot separate the brass bush (ring) from the valve or in trying to separate them, the brass bush ring becomes damaged, then you will need to replace the brass bush (ring) as well. 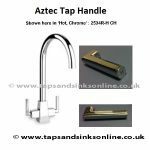 Contact us here at sales@tapsandsinksonline.co.uk as different valves take different Brass Bush (Rings). We always supply the measurements with our Valves so that you can check if you have the right valve e.g. the number of splines (little groves at the top of the valve), the overall length of the valve, the nut height and the diameter. If you are unsure when ordering, then just email us at sales@tapsandsinksonline.co.uk and we will help advise you as to which valve you require. 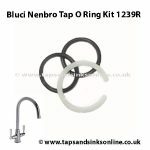 Do you have the brass bush rings in stock for a franke mythos hot and cold tap. I have replacement valves but cannot remove the Bush rings. Would you be able to help me identify what valve is needed for my FRANKE tap? it’s a san marco valve but there’s no other info on it. Dear Damien, If you email us a picture of your Franke Tap to sales@tapsandsinksonline.co.uk FAO Alice, then we should be able to identify which valve you require. Kind regards, Alice.